Why do people avoid budgeting? Many people don’t prepare budgets because they are frightened that they will find out that they are overspending. These people enjoy spending money on extravagance and if they discover how much they are spending on these expenses, they may not be able to continue to spend on these things if they want to survive financially. Don’t be afraid and learn to prioritize what is important in life. You don’t want to spend on pleasure now only to regret your decision later. If you plan your expenses, you will be able to spend moderately on fun now and also save for your future goals. It is not difficult to find people who do not believe or care about budgeting. These people usually have extra cash and don’t depend on pay checks to meet their monthly needs. These people believe that budgeting will not have any impact on their finances. These people will not understand the importance of budgeting until they try it. If these people try budgeting, they will have greater surplus to spend and be able to save more for their future. 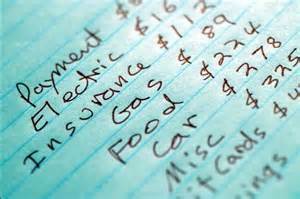 There are some people who start to budget only when faced with a difficult financial situation. These people will start caring only when they run out of cash. These people realize the importance of budgeting only when they face difficult situations in life. The bottom line is to introduce the habit of budgeting early so you don’t have regret in the future. I prefer to call the dreaded Budget a Cash Flow Plan. Like anything in life if you fail to plan you can plan on failing. I have never heard of someone who failed with money because they had a budget but almost everyone fails or at a minimal is challenged financially without a Monthly Cash Flow Plan (Budget). Personally, I like to see where my money is at all times. My written monthly Cash Flow Plan shows it in black and white and I can measure how well I am achieving my Financial Goals. Want to learn how to Budget and Win with Money, just ask and I will show you. Many people hate to face reality and looking at monthly finances is one way of doing that. But these same people, and I was one of them, also spend countless amounts of time and are stressed about why they are never moving forward. Well once you start telling money what to do, the whole dynamics of personal finances change.